This workshop is always an opportunity to work with some awesome people. Not only the Teachers, but the Participants bring so much to this event. It is an opportunity to go Deeper into your well of Creativity. You know many ways already now, even more will be available to you as you learn new ways of accessing your inner powers of expression. The participants experience painting with a Giant brush and Tai Chi on the lawn by the Studio - the visual with the movement are integrated to put the students in a state of mind, where their creativity is released, creating one-of-a-kind masterpieces. 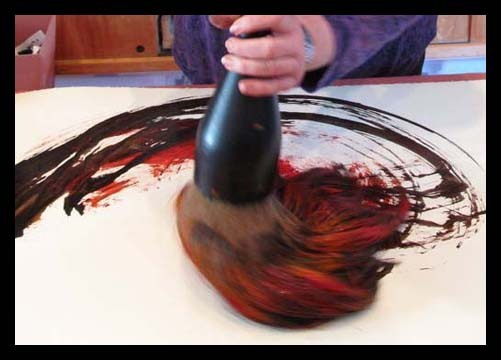 "As your body experiences authentic movement, you may access and touch your most unique creative self, then with Brush in hand...think Giant Brush with two hands....Your Creation will be expressed in a lyrical way for you to enjoy," says Rosemary KimBal about her approach. We serve lunch at Rosemary’s home across the lawn from the Studio, so everyone can stay together and share their stories. Is the Giant Brush for you? Come and find out! 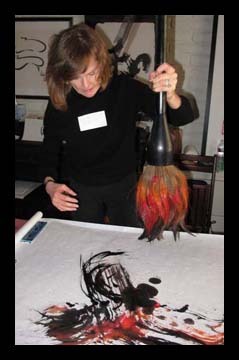 Sign up for Giant Brush Workshop! SIGN UP USING RSVP FORM BELOW, please, choose the form according to the date you are signing up for. Thank you! Please, fill out the form below to sign up for February 21st workshop at Hera Hub Mission Valley. Master artist Rosemary KimBal and her student Portia La Touche, whose Contemporary Zen Art are currently on exhibit at Hera Hub, are offering two workshops at Hera Hub to introduce busy working women to a beautiful art form, to teach the basics of Oriental Brush Painting, and to nurture your creative powers which can applied in your businesses. Experience the process of Brush Painting in Asian Manner in a relaxed and fun atmosphere. 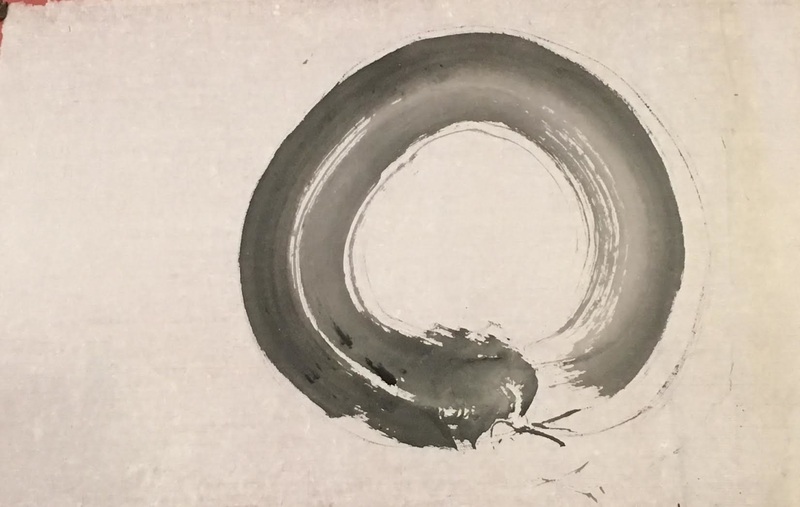 Since Brush Painting is about stroke quality and not drawing, people are astonished about how instantly successful they are. This lovely emotion will propel you to want to do more. No previous experience in painting or drawing is necessary. You will be able to show off a finished painting at the end of the workshop! You do not need to be member of Hera Hub. All art supplies will be provided. Please, fill out a form below to set up a private class or join our mailing list!